← A$AP Rocky “1Train” feat. Kendrick Lamar, Joey Bada$$, Yelawolf, Danny Brown, Action Bronson, Big K.R.I.T. Brooklyn born star Talib Kweli received his big break through his collaboration Black Star, alongside fellow MC Mos Def. Shortly after the album’s release, the two decided to part ways, while Kweli and Hi-Tek continued their previous partnership on a 2000 album titled Train of Thought. Following the two artists’ album, Kweli and Hi-Tek also decided to part ways, forcing Kweli to take the first step into his solo career. In 2002, Kweli produced his first solo album, Quality, that featured different noteworthy producers such as DJ Quik and Kanye West. The single produced by Kanye, “Get By,” peaked at #77 on the Billboard Hot 100, enabling the artist to receive some mainstream attention. The album peaked at #21 on the U.S. Billboard 200 and at #6 on the R&B/Hip-Hop Albums Chart. In 2004, Kanye showed interest in Kweli’s style once again, allotting him a guest spot on the track “Get ‘Em High.” Comedian Dave Chappelle also showed continued interest in the artist in the early stages of his career, featuring Kweli as a musical guest on the Chappelle Show three times, as well as a performance during the Dave Chappelle Block Party. Here’s a video from his Champaign show 2 years ago. Two years after the release of his second album, which debuted at #14 on Billboard’s Top 100, the artist signed a distribution deal with Warner Bros. Records for Blacksmith Records that proved to be extremely beneficial for the future of his music career. Warner Brothers launched an online community via Second Life for Kweli, and in turn he was featured on a commercial for the NCAA’s Big Ten Conference, as well as a performance on MTV’s Wild N’ Out and on MADE as a coach later in 2008. 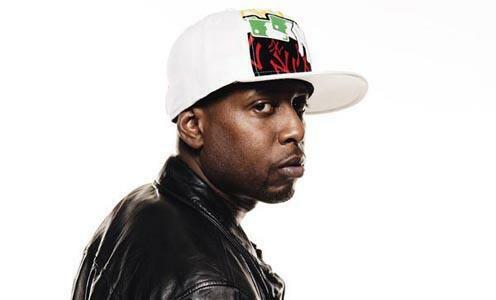 The year 2007 saw the creation of Kweli’s third album, Eardrum, which debuted at number two on the Billboard 200. Some time after the split with Warner Brothers Records in 2008, Kweli released his fourth solo album, Gutter Rainbows on Duck Down Records.